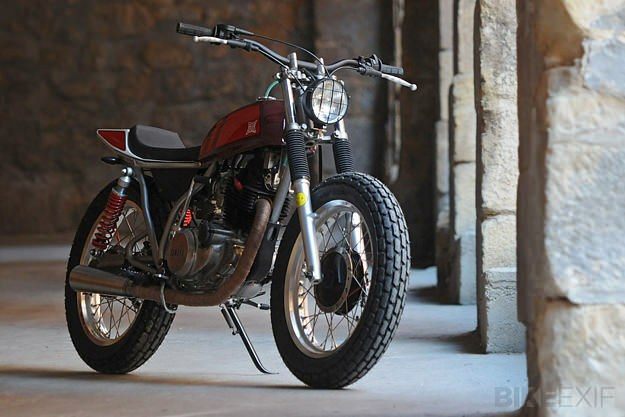 This slim and agile Yamaha SR250 street tracker is the first product from a new Barcelona workshop called Reborn Motors. Light and maneuverable, it’s perfect for tight city streets and gravel tracks further afield. Reborn Motors has an impeccable pedigree. The workshop is run by Jim Palau-Ribes, a European car designer who also runs Pursang Motors, and race bike mechanic Hector Zayas. 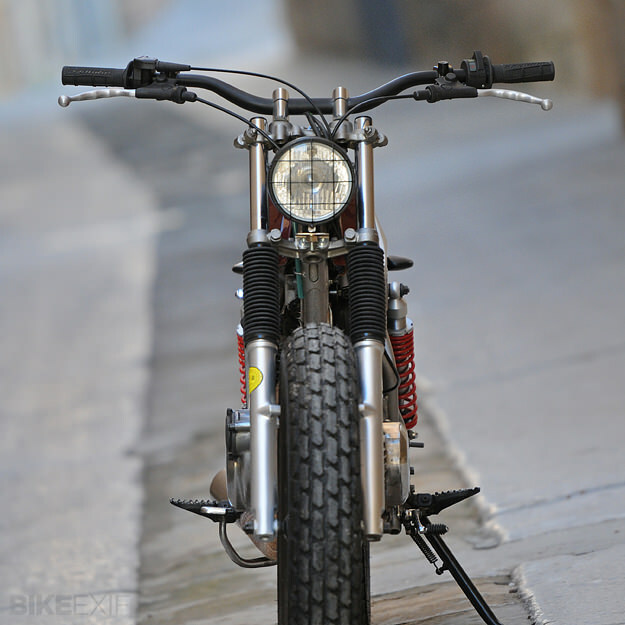 Why an SR250? 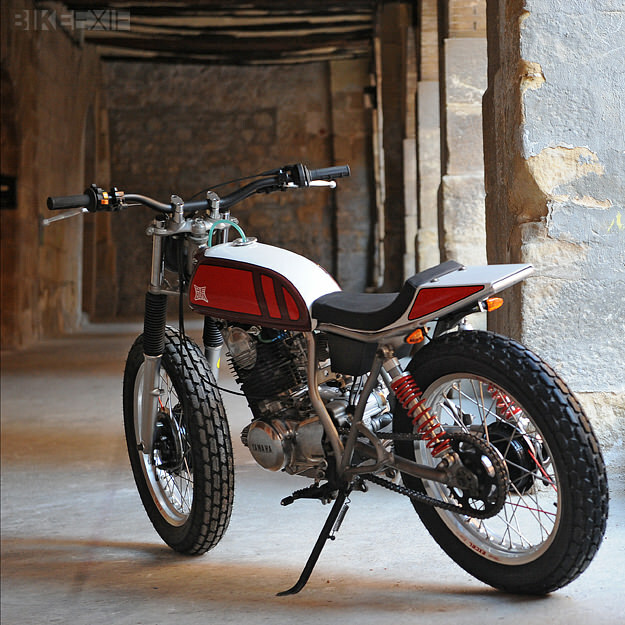 “It’s a common bike here in Barcelona,” says Palau-Ribes, “so we thought it would be a good starting point: to take an ordinary old bike and turn it into something special.” And special this one is. The mods are well thought-out and functional, with a 34mm Dell’Orto carburetor and short-throw throttle adding to the rider experience. The bars are from a Sherco 450i enduro bike, and the triple clamps and footrests are from a Honda CRF. Dunlop K180 tires ride on Excel Takasago 2.50 x 18” rims, and Betor shocks smooth out the ride. 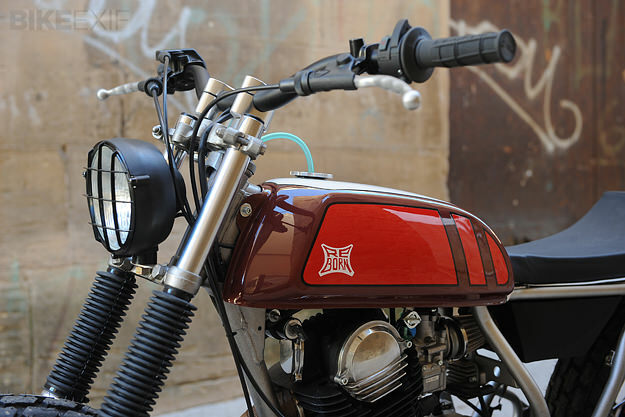 The SR250 also now has a kickstarter and the tank is from a vintage (and rare) Derbi Tricampeona moped. A classy paintjob from the Spanish company “Chop In Art” provides the finishing touch. I’m betting we’ll be hearing a lot more about Reborn Motors. 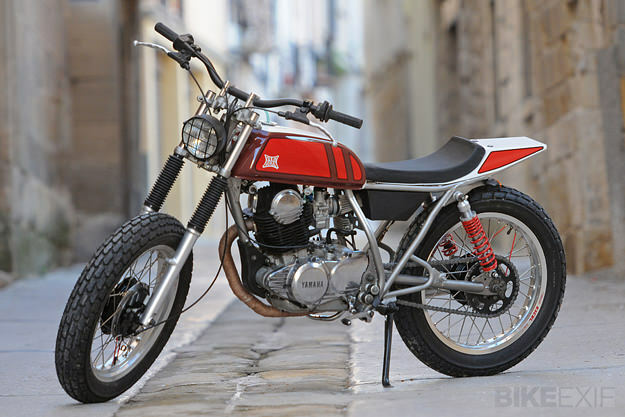 This SR250 is a pretty good start, wouldn’t you say? Photography by Jose Maria Espallargas.